Ok, so I have a confession. I am obsessed with yarn. Half my studio is full of it and every time I start a new piece for a client, I SWEAR I won't buy anything new. But then I go in to teach at Fancy Tiger Crafts, I start wandering around and get INSPIRED. Next thing you know, they are winding three new skeins for me and I am back at square one - way more yarn than I need. That said, I have found a way to mitigate some of my overhead costs which is necessary when you sell handmade goods that require so many hours to create. Since I started weaving, I began searching for affordable, stylish and good quality yarns to compliment the more expensive/local/natural fibers I really love. So, I compiled a list of great yarns to learn on that can lower the overall cost of your weavings. You can find most of these at your local craft stores like Joanns, Michaels or Hobby Lobby. Even better, they are often on sale and you can usually find an additional 20% off coupon! I seriously never buy anything from these stores without a coupon. There are also many sites that carry a huge selection of yarns like Love Knitting and Craftsy. They sell in bulk so often have competitive pricing. This yarn is made of 100% Wool. It typically runs around $6.00 for 120 yards. It comes in so many colors. My favorites are Aran (off white), Natural and Grey. I use this in almost all of my weavings. Its great with basic tabby weave, loop weave and even rya fringe. If you cut it short it creates a great fluffy shag weave too! This yarn in the Cream Gold is so incredible. I don't love that it isn't 100% natural, made of an acrylic/mohair blend, but its so whimsical - I try to ignore it. I use this in a lot of my pieces I make for nurseries and little girls rooms. I use it in loop weave and my fringe combined with the above roving yarn. This yarn runs around $10 for 188 yards. This yarn has a really cool gold leaf effect. It's sometimes hard to find in-store but you can always find it online. It comes in a number of colors but my absolute favorites are the white or the black. This acrylic/wool blend runs around $7 for 49 yards. If you're like me and you enjoy some heathering in your fiber, this is a great yarn. I love any weight level of this yarn in Oatmeal or Wheat to add some interest to my neutrals! These cost a range of $5.00 for 197 yards (Original), $8 for 153 yards (Thick) and $9.00 for 100 yards (Thick and Quick) and can be found almost anywhere (Joanns, Walmart, Micahaels. etc). Cascade yarns make beautiful yarns and most of them are pretty affordable. My favorite for weaving is the Peruvian Wool heathered. It's available in most yarn stores and online at Craftsy and Love knitting. You can find this for around $8.00 for 220 yards! My favorite heathered colors are Aspen, Walnut, Yakima but they are alllll beautiful. Ok last but not least is this amazing and totally affordable wool/mohair blend by Lambs Pride. Its milled in Nebraksa and has the most beautiful colors. And at just $9.50 for 125 yards its a high quality yarn that won't break the bank. 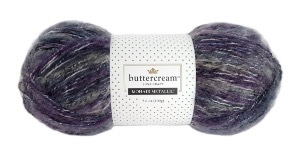 You cannot buy this yarn at crafts stores like Joann's or Michaels. but most yarn stores will carry it and you can get it online pretty much anywhere if you search for it. My favorite color is Sandy Heather. Ok so that is it. My favorite and affordable yarns for weaving. Remember you can really weave with ANYTHING so have fun with it. Send me a note (wovenbysarah@gmail.com) or comment below if you have any questions!